← Classic Chocolate Chip Cookies (Gluten Free)… The 12th Day of Christmas!! 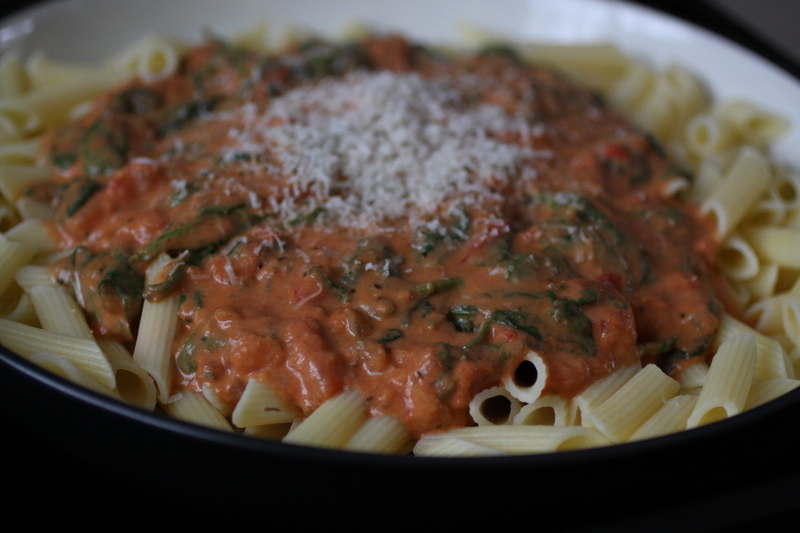 I’m not sure anything tastes better than a good pasta dish filled with fresh ingredients. 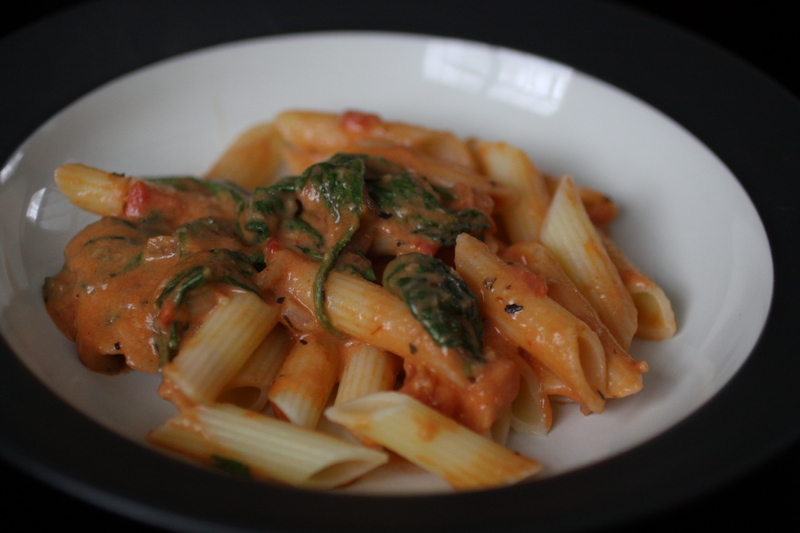 There are quite a few really nice gluten free pasta’s out there now, and the one I used in this recipe is made by Barilla. This company waited quite a while before producing a gluten free pasta, and it was worth the wait. Barilla has produced a product that is not mushy, doesn’t fall apart, and has an al dente bite to it that most gluten free pasta’s lack. This earns it a position on my *CAN’T LIVE WITHOUT IT list. 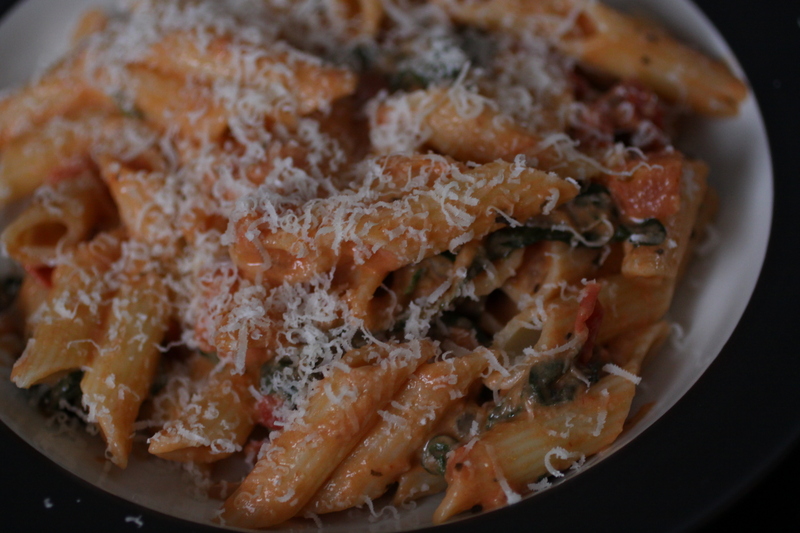 For this recipe and others that need a good penne, this is the one to go to. 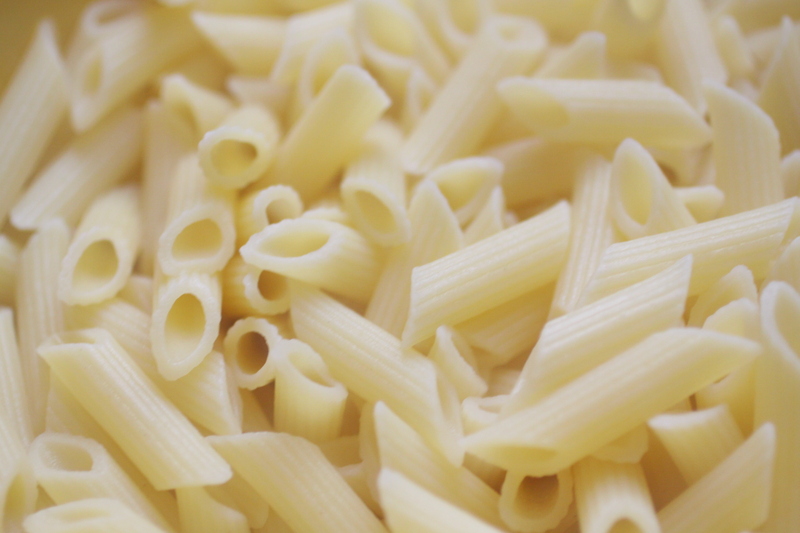 Bring a large pot of water to boiling, add penne pasta and cook for the recommended amount of time on the package. Drain. While the pasta is cooking, place the Olive Oil in a large skillet and heat for 1 minute over medium heat. 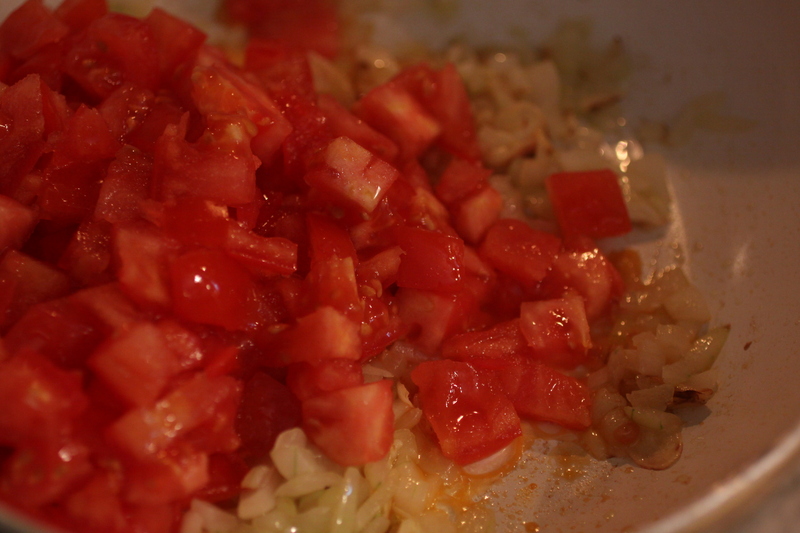 Add the onions and garlic and saute until both soften and just begin to brown. Add the fresh tomatoes and continue to cook over medium heat until tomatoes begin to break down, and release their juices. Add the salt, pepper, oregano, and dried basil if using (if using fresh basil, wait until near the end to add it to the sauce). Stir to combine. 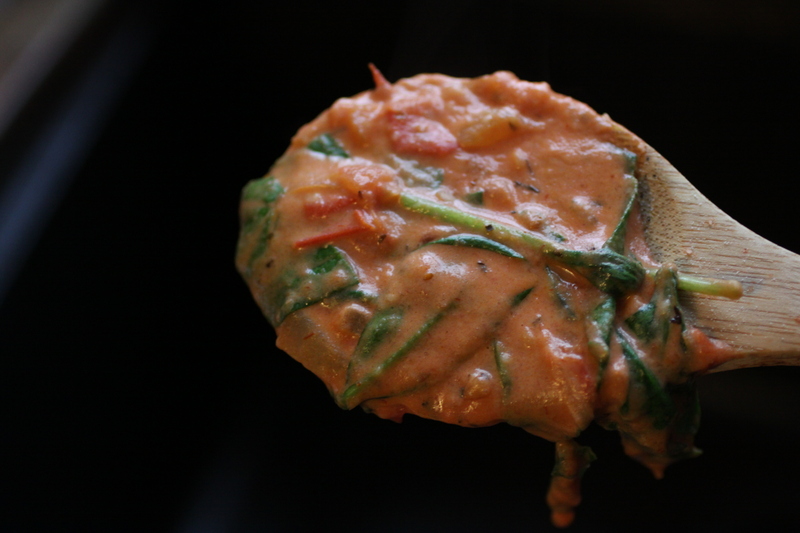 Add the tomato paste and the water to the skillet and stir until the tomato paste has dissolved and the mixture is the consistency of tomato sauce. Turn the heat down to low, and add the cream cheese chunks and stir until they have melted into the sauce and turned it a creamy color. 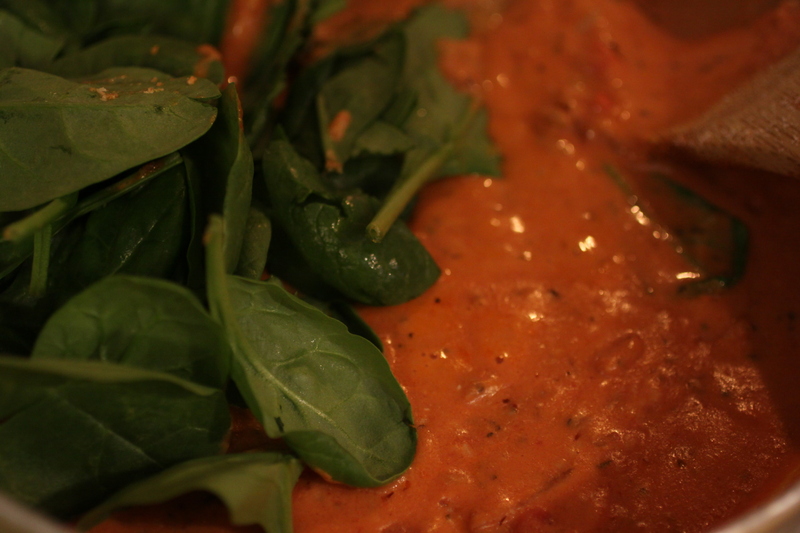 Add the parmesan cheese and stir until it has melted.Add the fresh spinach and fresh basil (if using),and stir the sauce gently until the spinach has wilted. Place the pasta into a large bowl and Pour the sauce over the pasta. Grate fresh Parmesan cheese over the top if desired, and serve warm. If you are fast at chopping onions, garlic, and tomatoes, you can have this dinner done in about the time that it takes to cook the pasta. If you are a little slower, you might want to start cutting up the veggies before you put the pasta in the water so that it will be done at about the same time the sauce is finished. Either way, this dinner will EASILY come together in less than 30 minutes. This dish is a wonderful, fast, vegetarian meal full of fresh ingredients. 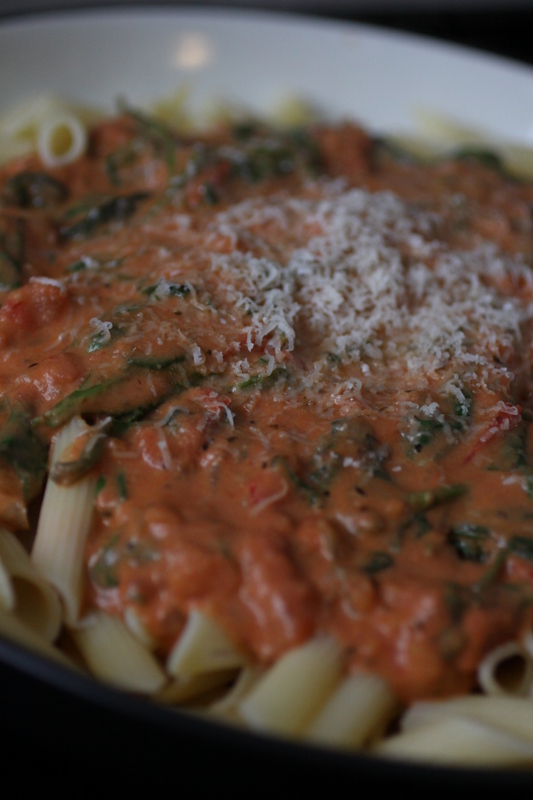 The cream cheese and the Parmesan cheese mellow out the acidity in the tomatoes, and the spinach gives the whole dish a beautiful pop of green color. My family loves this dish, and it is fast enough to even make for lunch. I hope you enjoy it as much as we do.